Granite domes rise out of the forest along the majestic Aspen Ridge. This expansive road system through remote pieces of the Arkansas Hills provides a variety of biking options. Mellower sections are great for families, but an extended tour will take some endurance. You can also choose to combine with rock climbing for a multi-sport day! We drop you off at the top of Trout Creek Pass where you will start pedaling through an open meadow beneath the famous Buffalo Peaks. After a climb over the ridge you eventually hook-up with the Midland Trail and descend into Buena Vista. 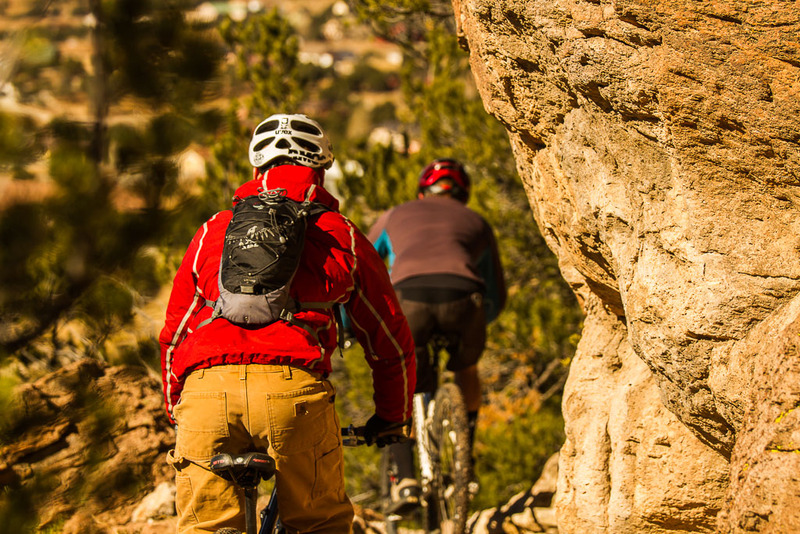 This great ride allows you to enjoy two trail systems in one action packed day! Start up at higher elevation for sweet singletrack through lush lodgepole forest on the Rainbow Trail. After lunch head down to the meandering trails through rolling hills on the Little Rainbow. Spend a full day exploring two awesome trails in the Arkansas Hills. The new Cottonwood Trail may be our favorite ride in the area. Combine it with a full tour of the Backbone Trail for an action packed day. Expect some technical maneuvering through rocky areas. No significant climbs, mostly flowing up and down terrain. This special recreation management area has many trails for mountain bikers to enjoy among twisty rock canyons and towering boulders. A newly reworked trail system offers seventeen miles of riding. Beginner, intermediate, and advanced rides. Lunch included. All equipment included.